As we continue on our #HispanicHeritageWeek coverage here @TheYLife … I figured what could be better on this gloomy Tuesday than sharing one of my favorite Hispanic Comfort Food recipes straight from my Abuela MiMi’s dessert kitchen! Arroz Con Leche or Rice with Milk, in English, is quite the infamous Cuban dessert. It is likely you will find it on the menu of every Cuban Restaurant you visit and present at most homes during Family Dinners such as Christmas or Noche Buena! There is one requirement about Hispanic and Latino Culture… EVERYONE indulges in sweets! It’s a nuance of a defining characteristic of La Hispanidad, anyone and everyone LUV to indulge in pastries, sweets and decadent desserts! 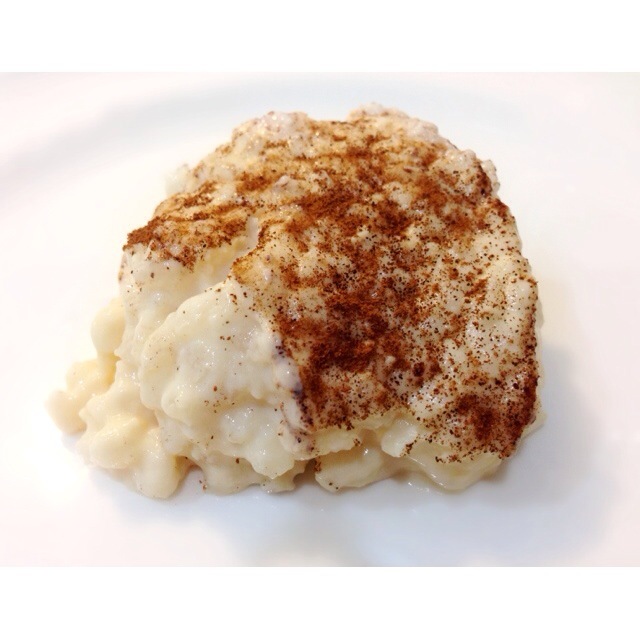 This Spanish and Latin American version of Rice Pudding is a bit thicker than the American version and uses: raisins, cinnamon sticks, lemon or orange peel and sprinkled with cinnamon and nutmeg upon completion. A preference is often to eat arroz con leche just after it is cooked, this is the pinnacle moment when the milk, rice and condensed milk bind into a perfect pudding of deliciousness! Tip: It is contingent that the biggest mistake when making Arroz Con Leche, is not stirring the rice and milk mixture EVERY minute or 2… Mixing is vital to making sure the rice doesn’t stick to the bottom of the pan, and you MUST keep the heat down to avoid burning it the dessert mixture! After cooling at room temperatures for about 1 hour, place in refrigerator to cool and firm! Enjoy And Indulge in a scoop of G and L’s sweetened childhood!